Have you worked with Ullman Sails before? 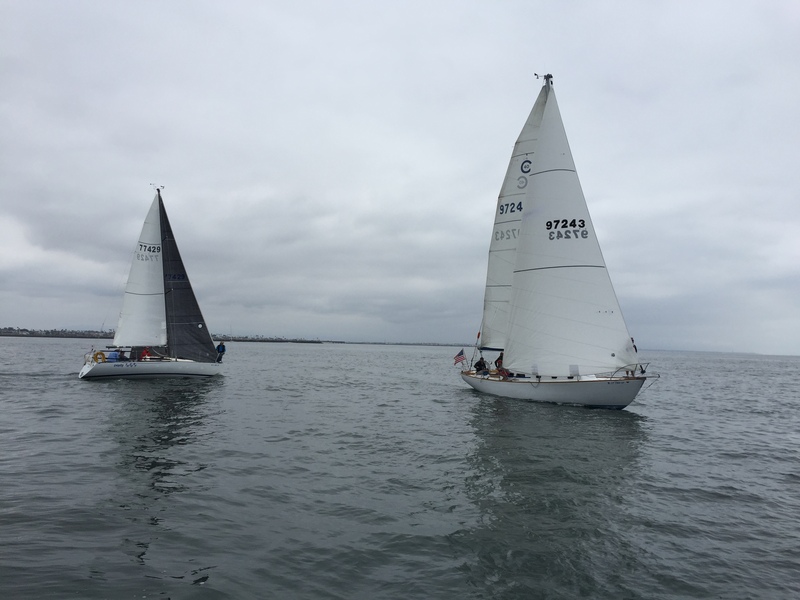 The annual Catalina Island Series hosted by Long Beach Yacht Club has been one of the most enjoyable series of races I have had the pleasure of competing in. Held once a weekend from May through October, it offers a destination regatta like no other in California. Each race ends at a different location which gives the racers the opportunity to explore the beautiful island just off our coastline. May 19 & 20 marked the start of the 2018 series and the destination was Long Point! Because of limited space and facilities the boats head over to Avalon for the night. For this series I was aboard Steve Sellinger’s Santa Cruz 52 Triumph. The trip over was a light air affair and our goal at the start was to get off the line with speed and no one giving us dirty breeze. We did just that, all be it a few seconds late. Fortunately we had pinned our competition and accelerated away from them as we pushed to be the first boat out of the breakwater. The southerly wind helped us out of Queens Gate and we continued to go fast towards Point Fermin. The plan was to keep the boat at top speed and get to the inevitable westerly breeze that was predicted just after 1pm. Some boats remained close hauled and headed out to the middle of the channel and the dreaded Catalina wind shadow. Our plan paid off as we auto tacked onto Starboard as the westerly filled in. We found ourselves in the lead by a fair margin and now pointed the boat right at Long Point. We changed to the Code 0 and then the 1A as we extended on the other boats. The finish was a bit exciting as the wind came forward around long Point and we reached over the finish line to claim a first overall! Sunday was a straightforward spinnaker run back to Long Beach. We started with the genoa and moved into the Code 0 and 1A as we crossed the channel. A peel to the 2A in the breakwater was needed and the crew executed this perfectly. The trip was uneventful which is a good thing! We managed a second in class as the 1D35 modified beat us on corrected. The surprise for the overall was the well sailed Cal 40 “No Parlay” who was the first boat into a spinnaker and it paid off with a great result! Good racing was had by all and I am excited for my next Catalina Island Series! Sign up for our monthly PIPELINE newsletter and get updates on news, events, and the information that makes sailing great. Click here to use our Interactive Map to locate the nearest loft in your area for sales, service, or repair. Ullman Sails offers a variety of services to help you maintain the quality of your current sail inventory.